Victory is one of the best admin panel templates. With this bootstrap admin template, you can quick start your project. Why waste time starting from scratch; try out our admin dashboard template. Victory is crafted based on google material design so that you can be assured that your application follows the best practices in usability and performance. 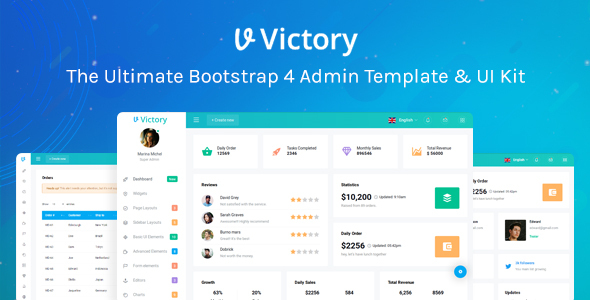 Victory bootstrap admin template follows flat design guidelines which make it sleek, clean, intuitive and user-friendly. Once you purchase Victory admin panel template, you will be entitled to free download of all future updates. UrbanUI committed to bring lot of new features to this bootstrap admin template. Stay tuned in for further updates!